Managing partner of Refine Digital and professional writer focused on marketing, technology, 3D printing, gadgets, and the cloud. 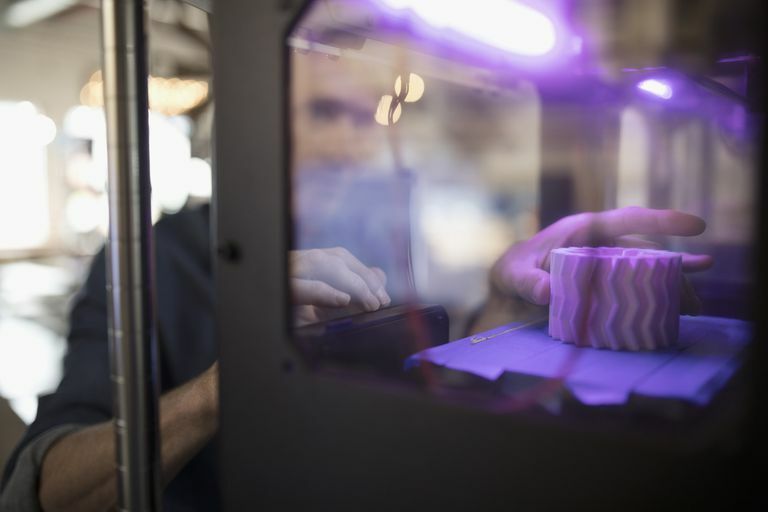 Most of the popular 3D printers today use a polymer material, such as ABS or PLA, which has gone from its raw pellet form into a strand or filament, then loaded onto a spool. Why this is done is not totally clear when the raw pellet form is less costly to make. Before we tell you about some of the resources to make your own 3D printer filament, let us share about a “new” printer known as David that uses pellets instead. At first glance, it makes a lot of sense. Even at a second glance, it is a logical idea. Their Kickstarter campaign over-funded in August 2014. Not only do you get an expanded, much wider selection of materials, but an overall lower cost. They compare the costs on the campaign site, over a period of time. You do not see immediate financial gains since their printer costs a bit more than the MakerBot Replicator, which targets the desktop hobbyist with its affordable machines. The total cost of ownership comparisons equals out after year two of using the printer. David is a company called Sculptify which termed their new method of printing: FLEX (Fused Layer Extrusion). What we like about it is the diversity of materials and the potential to mix your own. That’s the winning formula – the ability to toss in some carbon fiber pellets (if such a thing exists) or wood (as they mention). The printer appears to mirror many of the features that you would expect to find on a “standard” 3D printer. Items like a heated build platform, auto-leveling and different nozzle sizes (among others). All in all, it is an elegant looking machine – with an exterior made from aircraft-grade aluminum and anodized. They added extra windows so that you can see your project as it prints – which is a great idea and sometimes lacking for other printers. It makes me think about the guy who invented the Filabot, which allows you to recycle plastic items into your own filament. What if they allowed you to create pellets instead of filament? It might be a very fast process since you wouldn’t have to create long strands of plastic, forced or pulled through a mold-casting type die. But making your own can save you money in the long term. Okay, if you are set on making your own filament, here are a few resources that explain how to do it, or at least how to build a device, a machine, to help you make the strand. Caleb Kraft at Make shares an overview of how its made: How It Is Made: 3D Printing Filament. Ian McMill has a great Instructable outlining the entire filament extrusion process: Build your own 3d printer filament factory (Filament Extruder). There is even an Ethical Filament Foundation for people who are trying to source or make materials in a sustainable, concerned way. We learned about it in a post on taking old milk jugs to make your own filament. And the well-known DIY electronics kit maker, Adafruit, has a video of breaking up your failed 3D prints and turning them into filament with the above-mentioned Filabot.